A few weeks ago I wrote about positioning statements and value propositions. At a recent tradeshow, we put some theory into practice. In the picture below, you can see members of Sandvine’s Asia-Pacific team getting ready for SDN and OpenFlow Asia-Pacific Congress, in Hong Kong. This is a relatively small, focused show, so you don’t get the massive booths you’d see at something like Mobile World Congress. Instead, we went with a pop-up style booth. Does this sound familiar? It’s an awful lot like Geoffrey Moore’s positioning statement: For <target customer> who <statement of the opportunity>, our <product/service/name> is a <product category> that <statement of benefit>. From theory to practice, baby! 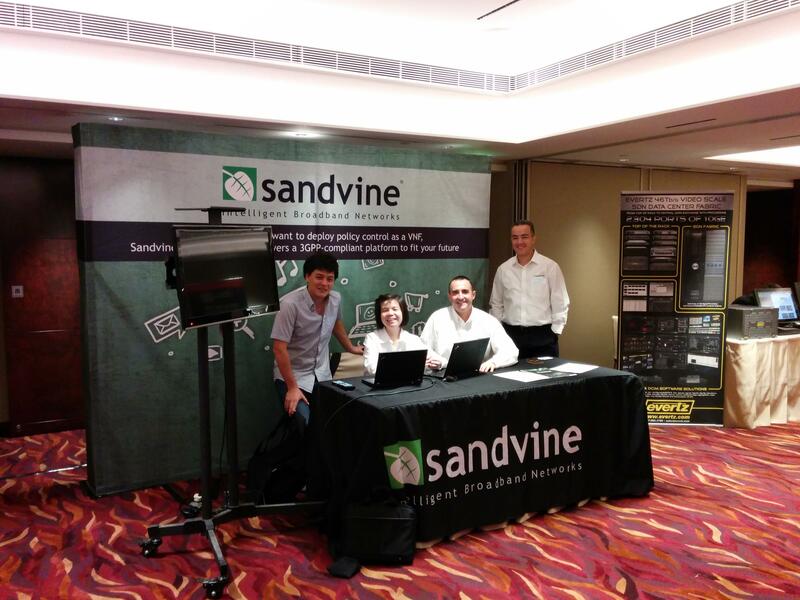 Some members of the Sandvine Asia-Pacific team getting ready for “SDN and OpenFlow Asia-Pacific Congress” in Hong Kong. ‹ Is this art, or advertising?